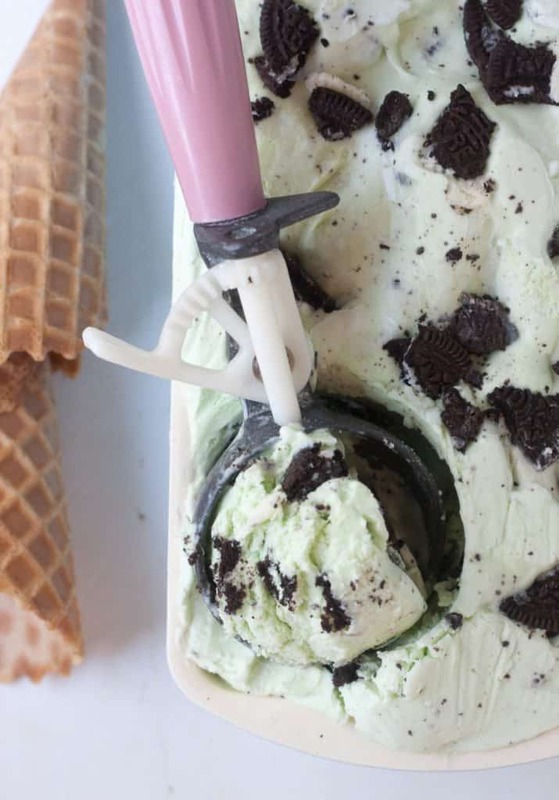 When it’s hot outside, and you don’t want to turn the oven on this Oreo mint ice cream has got your back. 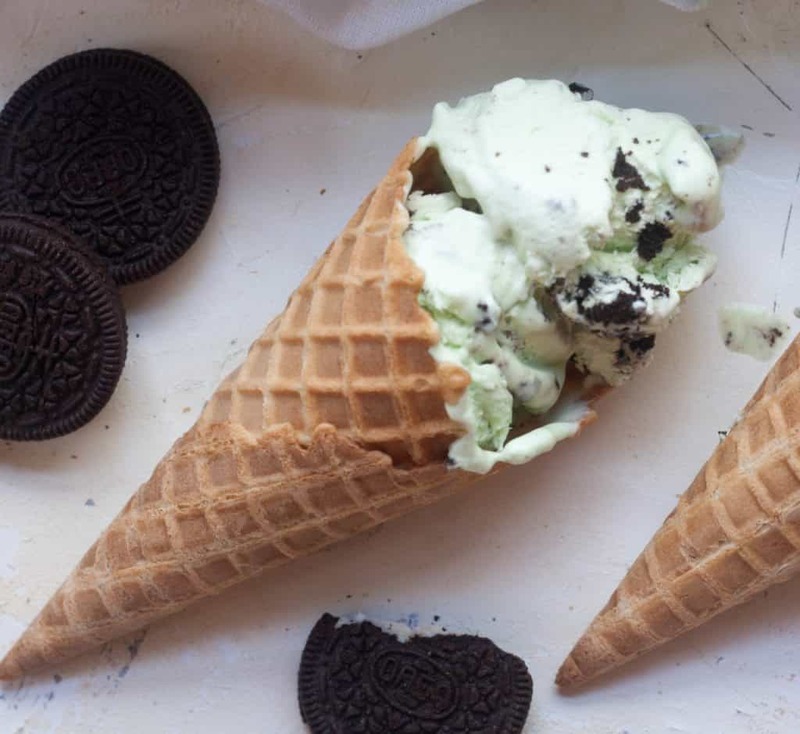 You won’t believe how easy it is to make this mint oreo ice-cream at home. It’s no churn, which means you don’t even need an ice-cream maker to make it. 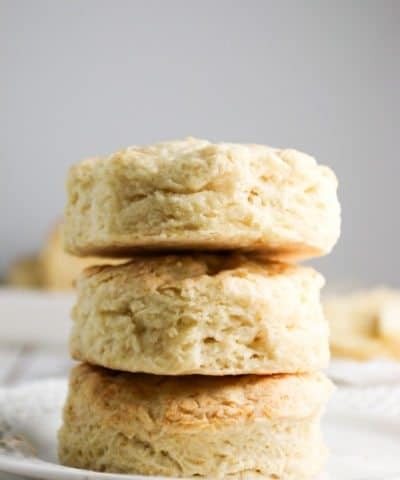 This take only 5 ingredients and with only about 10 minutes of hand on prep time. This might all sound too good to be true. An ice-cream that can be made in one bowl and doesn’t require an ice-cream maker? Dreams can come true friends. Mint Oreo covered dreams at least. But busting out the ice-cream maker to make those dreams happen? I don’t think so. Or maybe you don’t even have one and the last thing you want is another gadget cluttering up your pantry that you will use twice a year tops. I hear ya. I have an ice-cream maker. It looks real pretty sitting on top of my fridge. 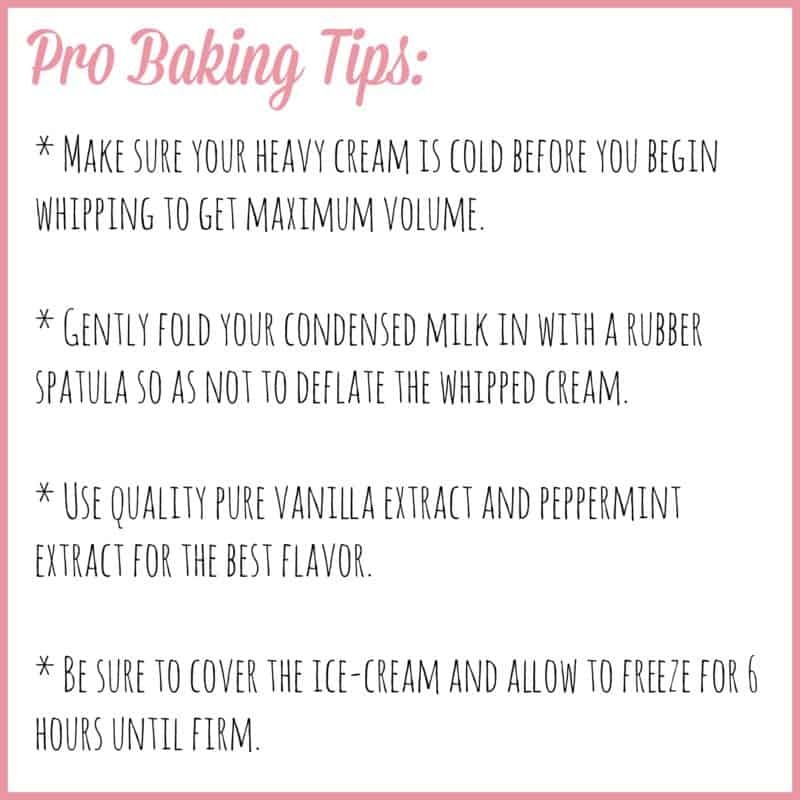 To start this ice-cream, you want to whip your heavy cream, vanilla extract, and peppermint extract until stiff peaks form. 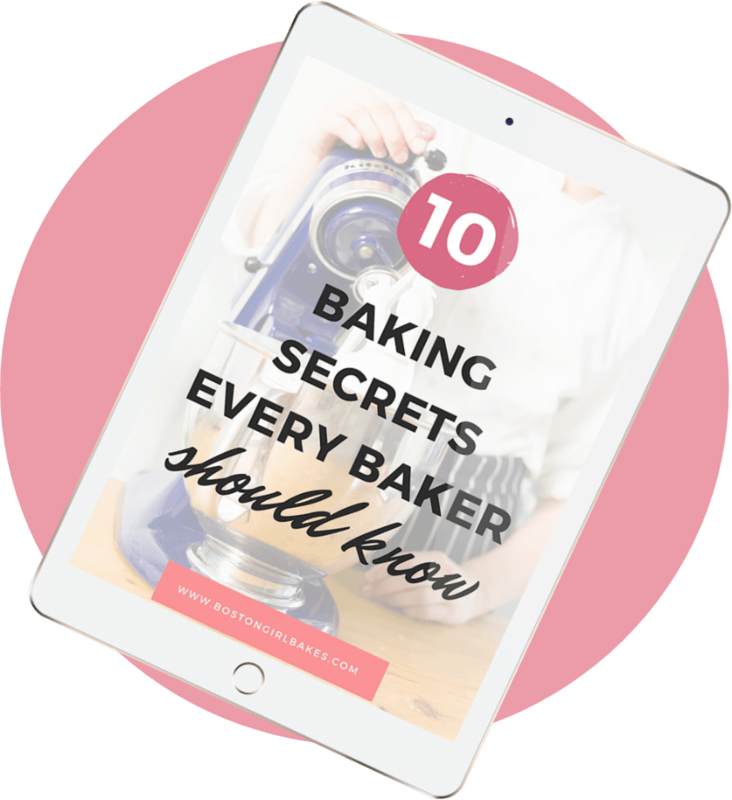 You can use your stand mixer bowl (or you can use a hand mixer, it may just take you a few extra minutes). This will take about 3 minutes with your mixer on high. Then to this whipped cream, you want to gently fold in half of your condensed milk. Condensed milk is key in making this no churn version. Condensed milk is full of sugar, and has been cooked down so most of the moisture from the milk has been cooked out so it will leave you with a creamy ice-cream in the end. By folding in gently only half of the can at first, you won’t deflate that whipped cream you so preciously mixed up. Then gently fold in the second half of the condensed milk, and green food coloring if you want. Then it’s time for the best part. 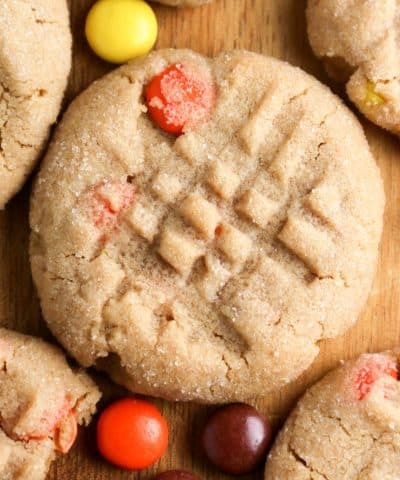 The cookies. 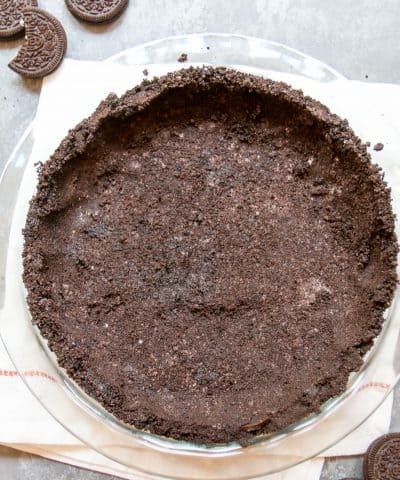 Now you can add a little or as much of the Oreos as you like. I like a lot of Oreos. So I added about 20 cookies. I simply broke them up in my hand, but you can put them in a zip-loc bag and use a rolling pin to crush them if you want. 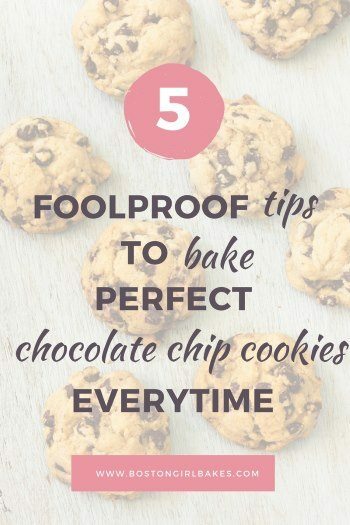 You could even fold in mini chocolate chips if you would like. More the merrier here friends. And that’s it. Yup. Seriously. That’s it. Ice-cream done. Well ok, you do have to let freeze. That’s the hard part. 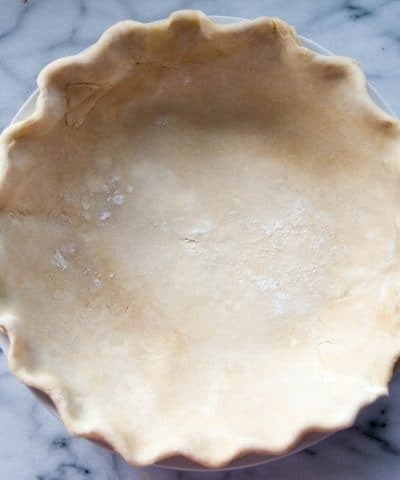 Scoop the mixture into a loaf pan and cover with plastic wrap and freeze for about 6 hours. 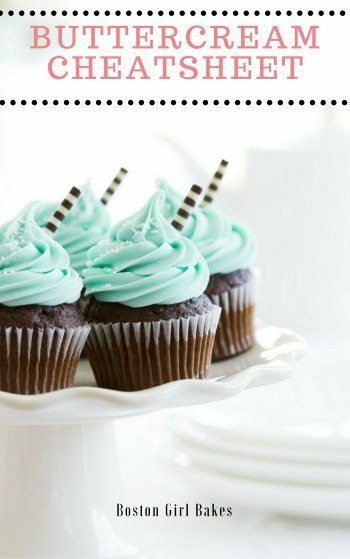 Do I Have To Use Green Food Coloring? If you want to be a mint ice-cream purist, then you can leave it out but I personally love just that hint of green. 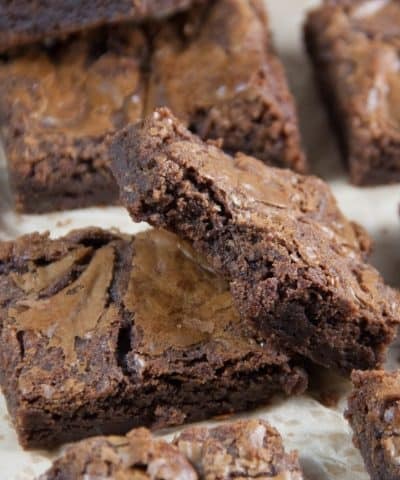 If you liked this recipe, let me know in the comment section below. 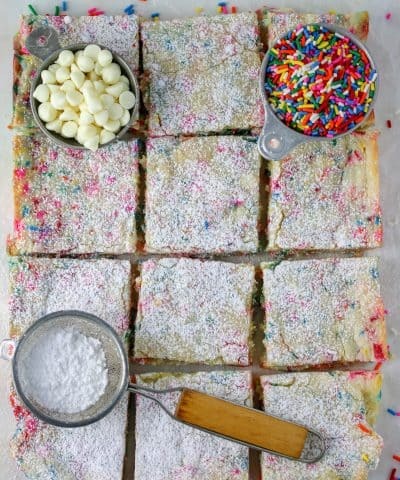 And if you make this, then snap a photo include the #bostongirlbakes so I can see! 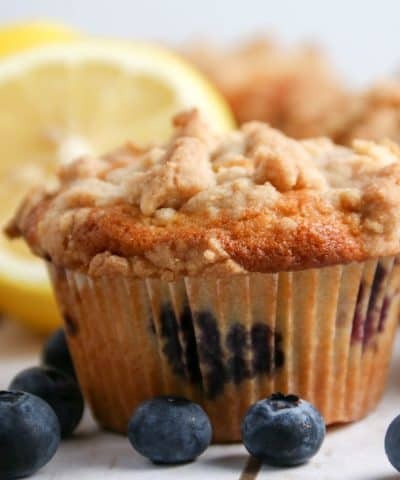 I love seeing what you’re baking up in your kitchen! Just 5 ingredients and made in one bowl- you will be enjoying your own homemade ice-cream in no time! In a large bowl, using an electric mixer, beat cream and extracts on high until stiff peaks form, 3 minutes. With a rubber spatula, gently fold half of the condensed milk in to the heavy cream. Once this has been folded in, add the rest of the condensed milk and your food coloring if you want and gently fold. 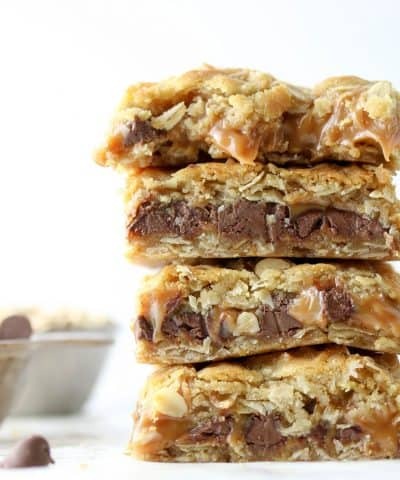 Fold in the crushed cookies. 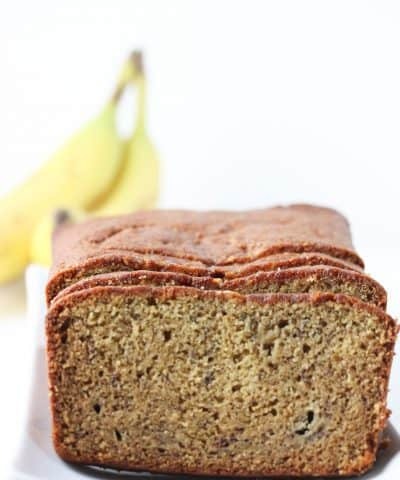 Pour into a 4 1/2-by-8 1/2-inch loaf pan and cover. Freeze until firm, 6 hours. Make sure your heavy cream is cold to achieve maximum volume. 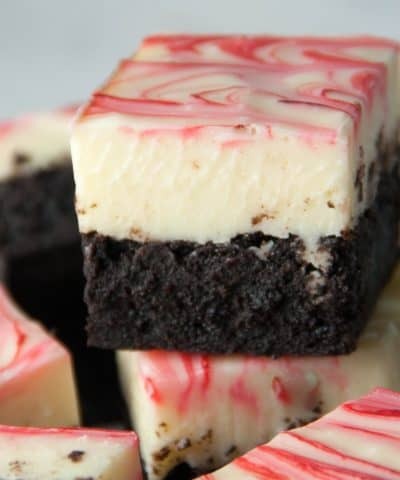 Use pure vanilla and peppermint extract for the best flavor. Hi Kelsey! 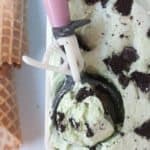 You’re so welcome 🙂 this ice-cream was so darn easy..and it was seriously spot on with any mint icecream I have ever purchased..who needs an ice-cream maker? 🙂 thanks for pinning! !